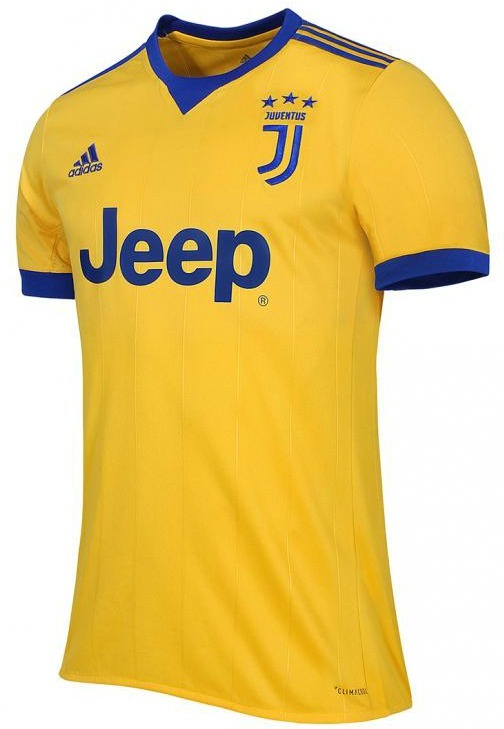 Weeks after unveiling their new home kit, Italian champions Juventus have followed it up with the release of their new alternate strip for the upcoming Serie A season. 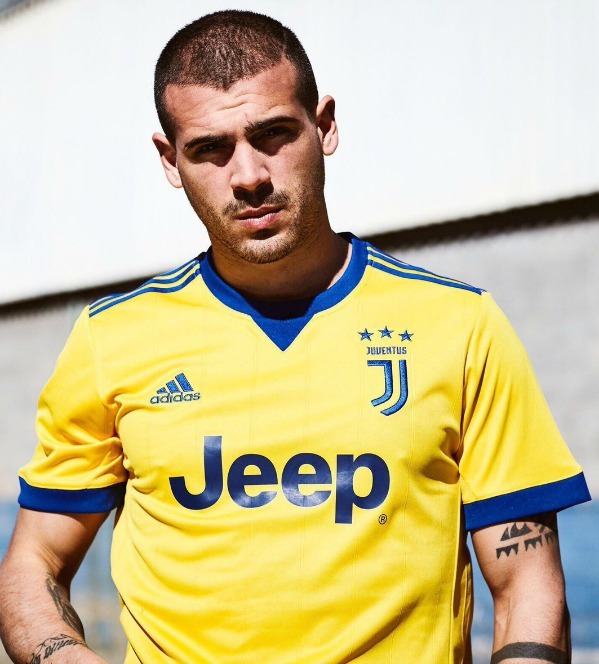 The jersey, revealed at the opening of the new Juventus store pays homage to the city of Turin where the Bianconeri are based with its yellow and blue design, as well as their uniforms from the 80’s. 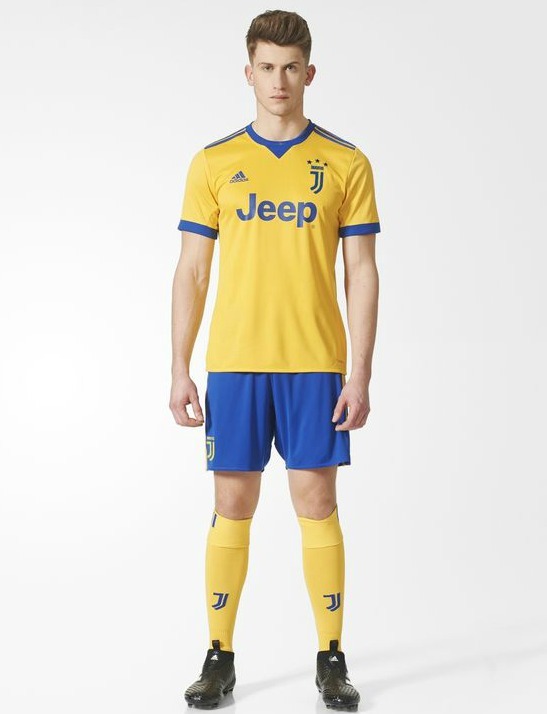 The away kit, like the home one, features the new J logo, an attempt by Adidas to mix the past and the future. 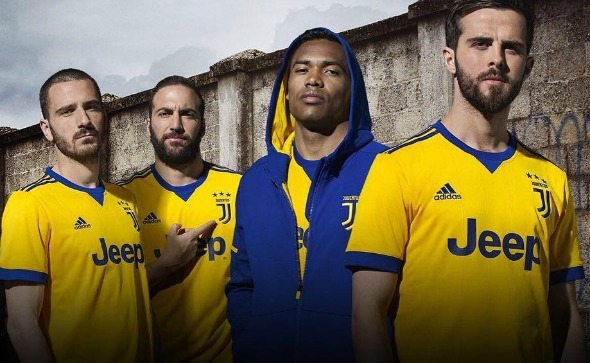 Sponsored by Jeep, the new Juve away kit is here seen modelled by Pjanic, Higuain and co. This entry was posted in Italian Serie A and tagged Adidas on July 2, 2017 by Football Kit News. 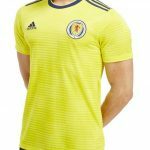 Yellow (not eyesearingly luminous) away kits are always a winner in my book.